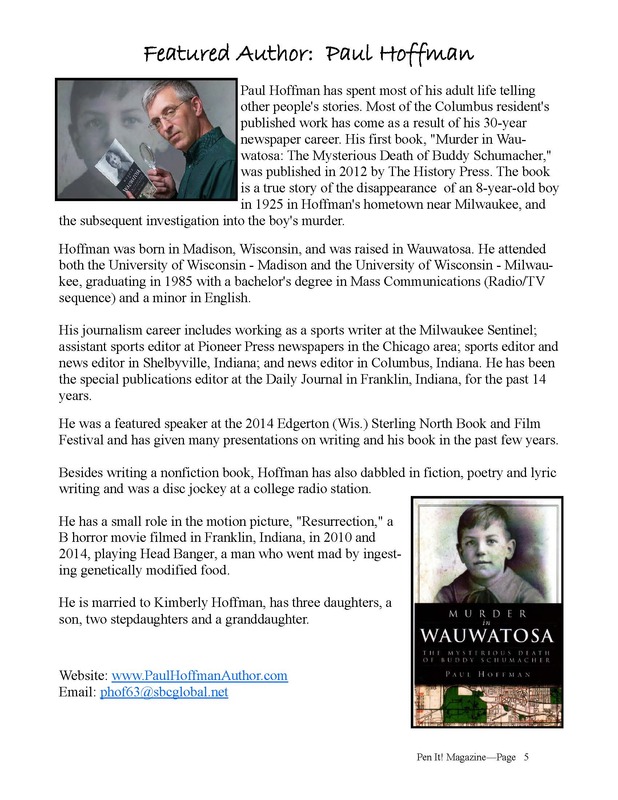 I am honored to have been chosen as the featured author for the March/April 2015 issue of Pen It! Magazine. The magazine is in its sixth year and is produced by Debi Stanton, based in southern Indiana. Debi recently invited me to speak on researching for nonfiction books at her Spring Writers Conference, conducted at the Yes Cinema in Columbus, Indiana. I had a blast doing that. It was the second time Debi asked me to speak at one of her writer’s conferences; the first time, I spoke on newspaper reporting. 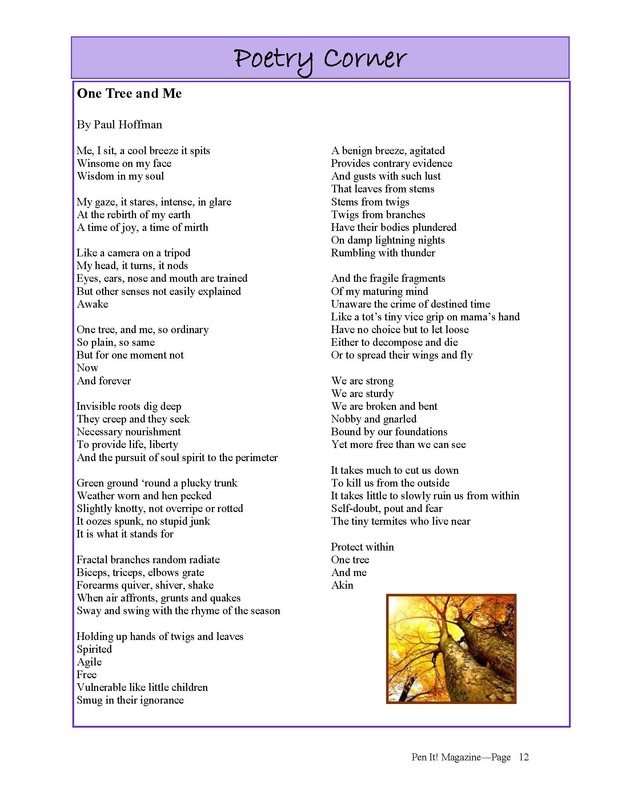 In addition to publishing my bio in her most recent magazine, Debi also published a recent poem of mine, “One Tree and Me.” I hadn’t written a lot of poetry lately, but got inspired one day to write that one. If anyone is interested in subscribing to Pen It! contact Debi at debih7606@frontier.com for one free issue.